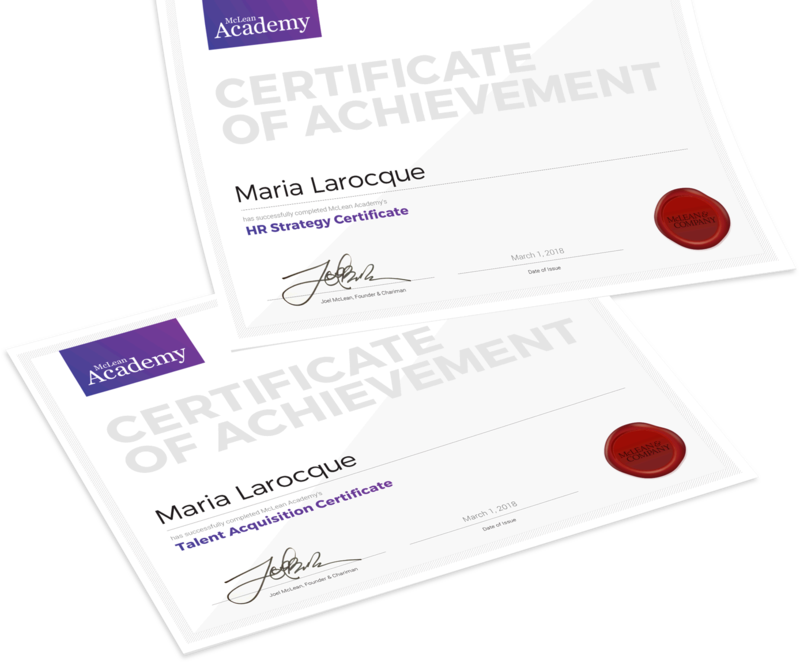 Train your staff and develop a world-class HR team. 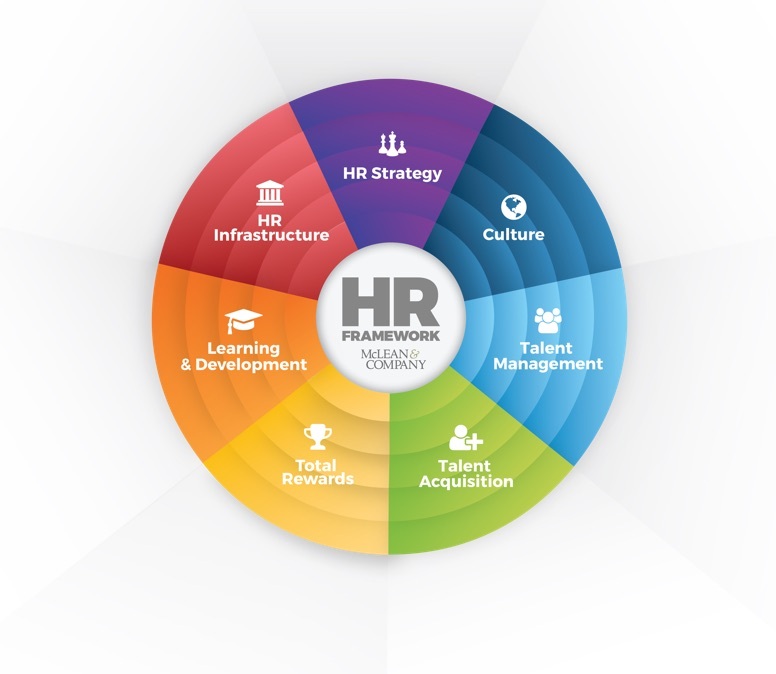 A series of online courses designed to further your HR team’s professional development. 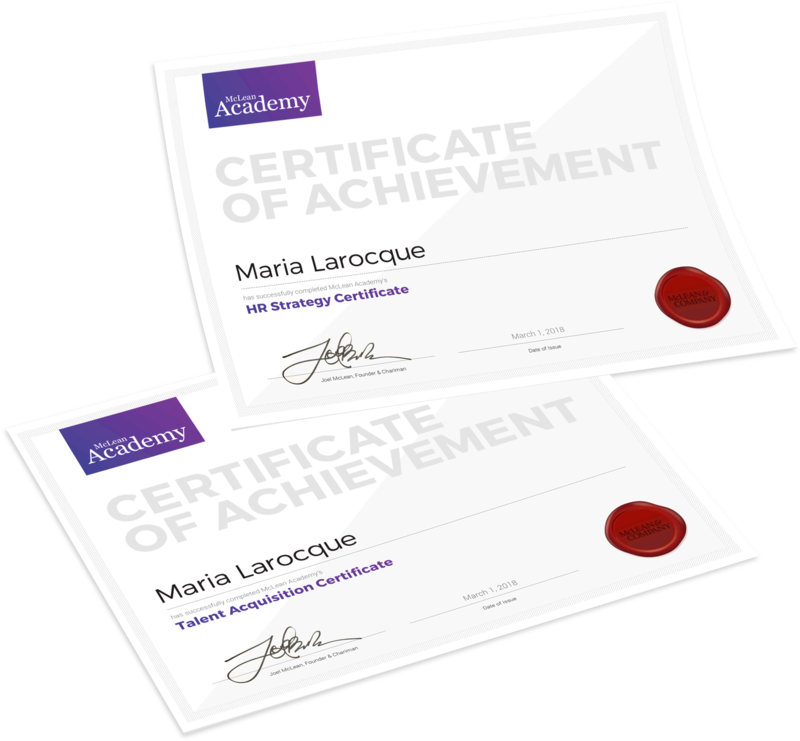 Built around McLean’s HR framework, the learning content in the Academy is practical, outcome-driven research delivered by experts in the field. This course is part of the Culture Certificate. Engaging video interviews and audio podcasts from our experts translate to higher completion rates and better retention of the concepts discussed. Assign course content to yourself or your team, allowing for accountability and ownership over the learning journey. Keep track of your and your team’s activity and progress, and maintain oversight over your team’s learning journey. Multiple choice tests to evaluate learning. Receive HRPA, SHRM, and HRCI Continuing Professional Development (CPD) credits.